PT GUN – Gun-shaped tool with end tapered at 45° angle and ergonomic handle. External diameter 50 mm, internal 38 and 40 mm. 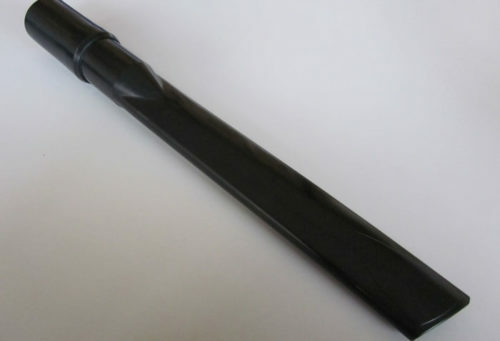 ABYSS – Long crevice tool in high-temp autoclavable silicone, length 430 mm, internal diameter 40 mm. Also available in 38, 44, 50 mm versions. STRIP 400 – Strip in high-temp autoclavable silicone, length 400 mm, for liquid-absorbing brushes. Also available in 500 and 750 mm versions. 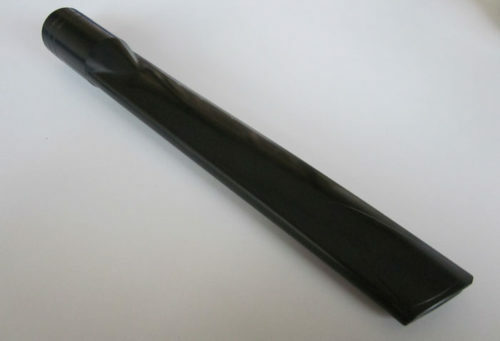 BIG CONE – Long cone in high-temp autoclavable silicone, length 300 mm, internal diameter 50 mm. Also available in 38, 40, 70 mm versions. SHARK – Flat-inlet crevice tool in high-temp autoclavable silicone, end tapered at 45° angle, length 190 mm, internal diameter 38 mm. Also available in 38, 44, 50 mm versions. HAND TOOL – Hand scraping tool in high-temp autoclavable silicone, length 170 mm, internal diameter 50 mm, suction inlet 120 mm. Also available in 38, 40, 70 mm versions. 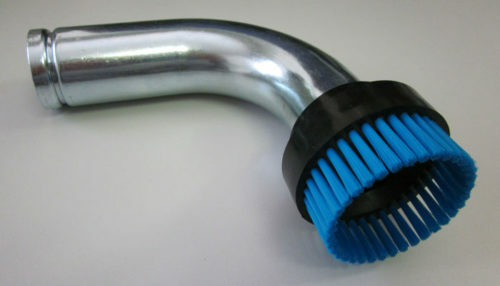 SIL2 – Hose cuff in high-temp autoclavable silicone, for SIL2 tube 38 mm diam. Also available for TERMOFLEX 300 hose 32 mm diam. 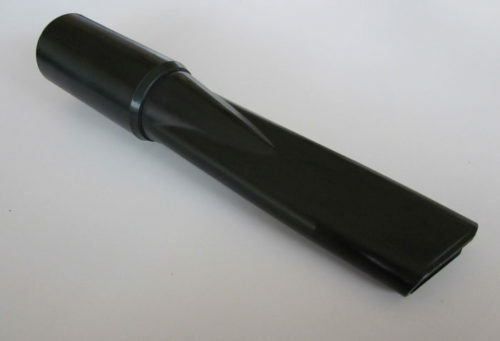 CONICAL NOZZLE 38 – Cone in high-temp autoclavable silicone, end tapered at 45° angle, length 195 mm, internal diameter 38 mm. Also available in 40, 50, 70 mm versions. 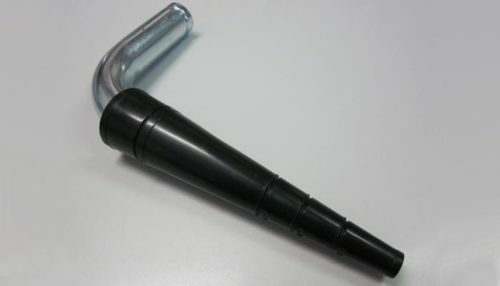 CONICAL NOZZLE – Cone in high-temp autoclavable silicone, end tapered at 45° angle, length 195 mm, internal diameter 50 mm. Also available in 38,40,70 mm versions. SLEEVE 40 – Hose cuff in high-temp autoclavable silicone, for all types of 40 mm flexible hose. Also available in 38 mm version. 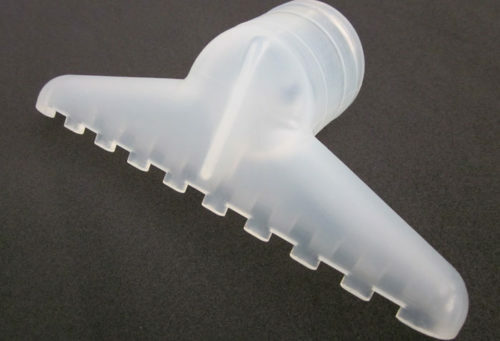 ALIEN – Bent nozzle in high-temp autoclavable silicone, 90° angle, length 250 mm, internal diameter 32 mm. Also available in 38, 40, 44, 50 mm versions. SLEEVE 50 – Hose cuff in high-temp autoclavable silicone, for all types of 50 mm flexible hose. Also available in 38, 40 mm versions. 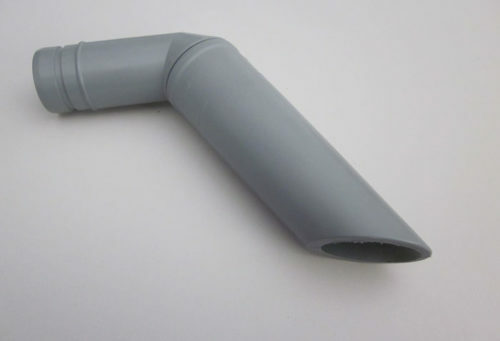 ADAPTOR 50 – Adaptor in high-temp autoclavable silicone, to connect a 38 mm flexible hose to a 50 mm tube. Available for various types of tube. 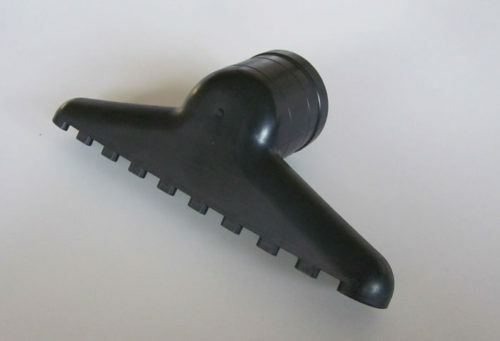 RAKE – Rubber flat nozzle, wide-inlet tool in high-temp autoclavable silicone, suction inlet 200 mm, internal diameter 50 mm. Also available in 38, 40,70 mm versions. SIL GUN – Elongated gun-shaped tool in high-temp autoclavable silicone, length 300 mm, external diameter 50 mm, internal 40 and 38 mm. 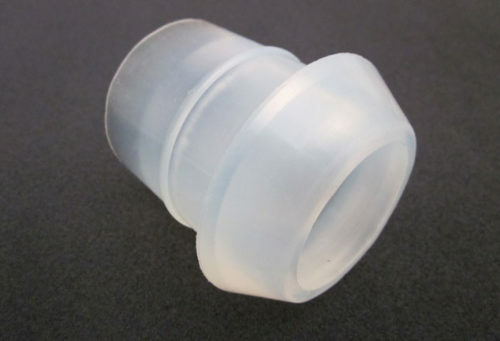 MUSHROOM-38 mm reducer in high-temp autoclavable silicone for 50 mm diam. accessories. Also available in 40 mm version. SLEEVE 70 – Hose cuff in high-temp autoclavable silicone, for all types of 70 mm flexible hose. Also available in 100 mm version. 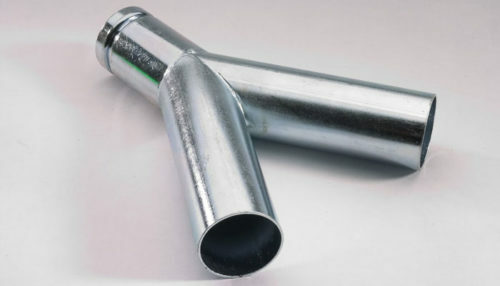 DOUBLE CONNECTOR – Two-way connector 50x50x50 mm, to allow connection of vacuum system air intake to two separate suction channels. Also available in 38, 40, 70 mm versions, in zinc-plated steel or AISI 304/316 Stainless Steel, with different types of quick-fit couplings. SPLITTER – Metal two-way connector 70×50 x50 mm, to allow connection of vacuum system air intake to two separate suction channels. Available in zinc-plated steel, AISI 304/316 Stainless Steel and different types of quick-fit couplings. Metal connector, 40 mm external diam. CONNECTOR 40- Metal connector, 40 mm external diam., double external rib, to make joints between flexible hoses or rubber accessories. Available in zinc-plated steel, AISI 304 or 316 Stainless Steel. Also available in 38, 50 mm diam. 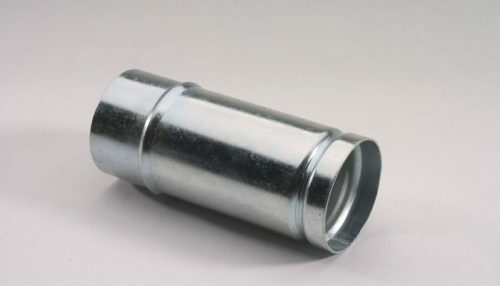 QUICK CONNECTOR – Metal connector, external diameter 50 mm with female connection for quick-fit coupling to make joints between flexible hoses or rubber accessories. Available in zinc-plated steel, AISI 304/316 Stainless Steel. Also available in 38, 40, 70 mm diam. and with female connection for different types of quick-fit couplings. Double curved tube in chromed steel, 50 mm diam. 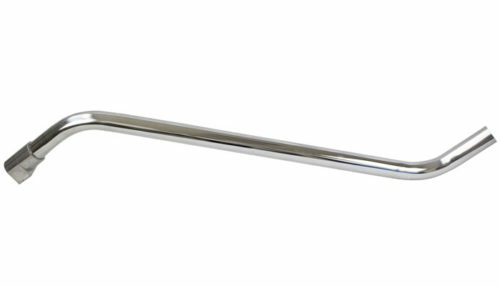 QUICK VACUUM CLEANER WAND – Double curved tube in chromed steel, 50 mm diam., fitted with quick-fit spring mechanism connection. Also available in stainless steel and aluminum. Other diameters available: 40 and 70 mm. 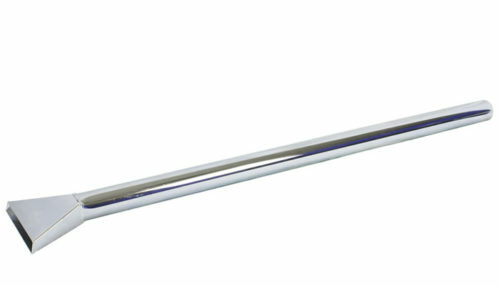 VACUUM CLEANER WAND – Plain double curved tube in chromed steel, 50 mm diam., for use with PROMETHEUS floor nozzle for liquids, model with swivel connector. Also available on request 40 mm diameter version. Round brush with 50 mm diam. 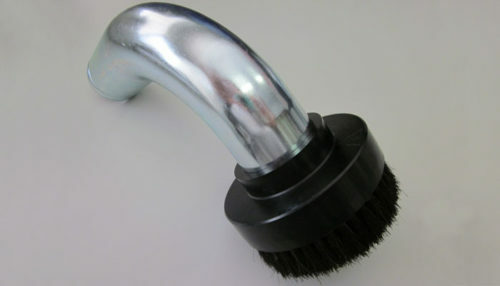 STEEL BRUSH – Round brush with 50 mm diam. handle, 90° angle, 100 mm diam. black disk, horsehair bristles. 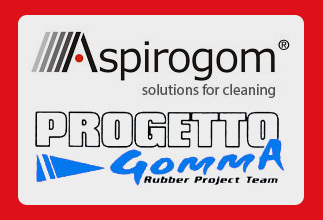 Also available with black, blue or white plastic bristles. CREVICE TOOL – Crevice tool, external diameter 50 mm for removal of dusts and liquids, flattened end to reach into deep crevices, length 500 mm. Available in zinc-plated steel, AISI 304/316 Stainless Steel. Also available in 40, 70 mm diam. STEEL GUN – Anti-static gun-shaped tool with a fine tip for places that are difficult to reach. 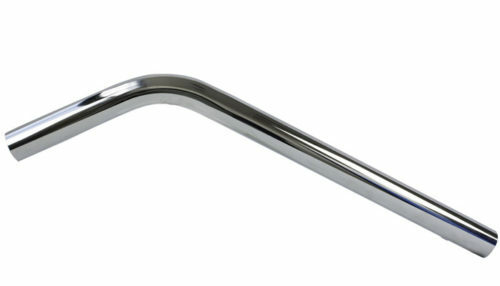 Handle in zinc-plated steel, external diameter 40 mm. 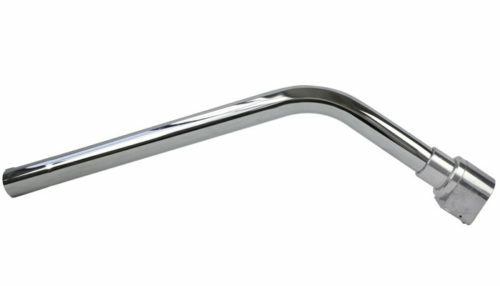 CREVICE TOOL FOR OVENS – Accessory of 50 or 70 mm external diameter for removal of crumbs or burnt flour from inside industrial ovens for baking bread. Incandescent material is removed with vacuum cleaners fitted with NOMEX filters. 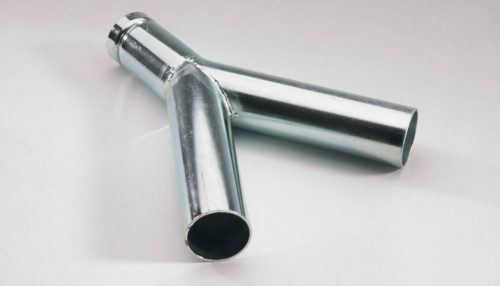 Plain tube in zinc-plated steel, 40 mm diam. 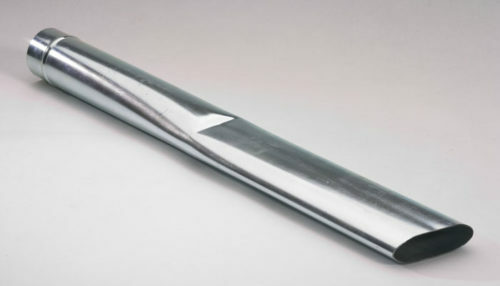 VACUUM CLEANER WAND – Plain tube in zinc-plated steel, 40 mm diam. Length 405/410 mm or 1320 mm for floors. Also available in polished stainless steel and in 50 and 38 mm diameters. Metal connector, 100 mm external diam. 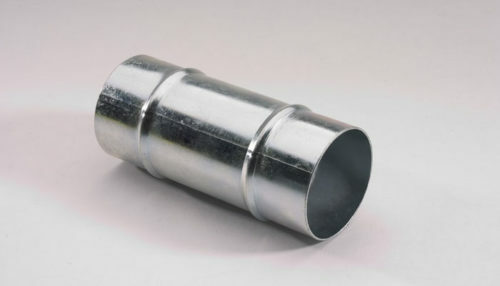 CONNECTOR 100 – Metal connector, 100 mm external diam., double external rib, to make joints between flexible hoses or rubber accessories. Available in zinc-plated steel, AISI 304/316 Stainless Steel. Also available in 70 mm diam. Round brush with 40 mm diam. 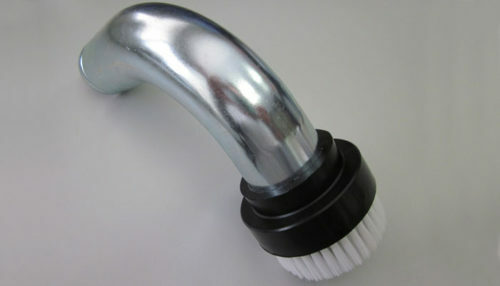 STEEL BRUSH – Round brush with 40 mm diam., 90° angle, 80 mm diam. black disk, blue coloured plastic bristles. Also available in 50 mm diam. with black, white or horsehair bristles. 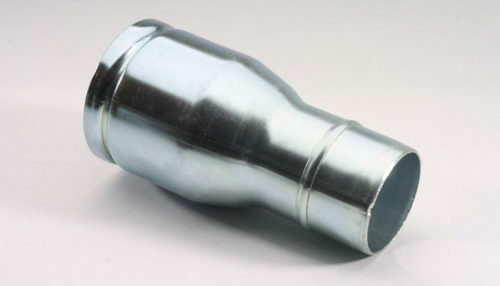 REDUCTION – Metal reducer 70 to 50 mm, for connecting the extractor hose to the vacuum system air intake. Available in zinc-plated steel, AISI 304/316 Stainless Steel. 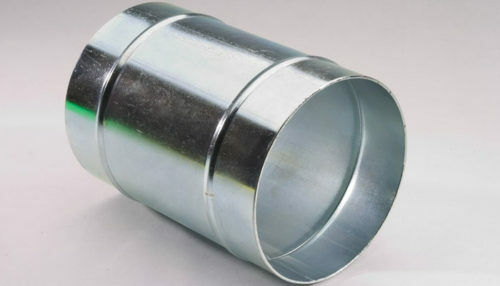 Other diameters available for different types of quick-fit couplings. 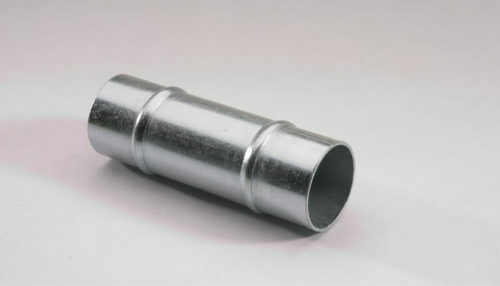 CONNECTOR 50- Metal connector, 50 mm external diam., double external rib, to make joints between flexible hoses or rubber accessories. Available in zinc-plated steel, AISI 304/316 Stainless Steel. Also available in 38, 40 mm diam. DOUBLE CONNECTOR 38 – Two-way connector 38x38x38 mm, to allow connection of vacuum system air intake to two separate suction channels. Available in 40, 50, 70 mm versions, in zinc-plated steel or AISI 304/316 Stainless Steel, with different types of quick-fit couplings. 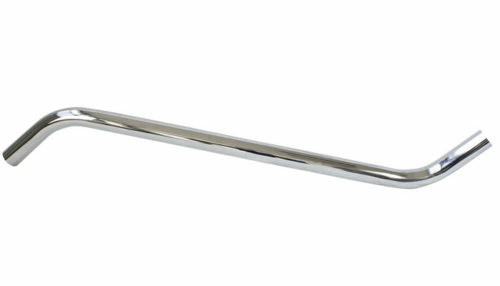 TWO PIECE VACUUM CLEANER WAND – Double curved tube in chromed steel, 38 mm diam., fitted with quick-fit spring mechanism connection. Version in two pieces. 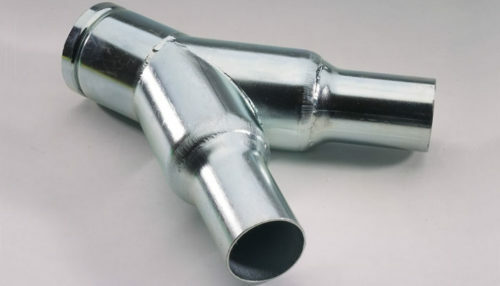 Also available in stainless steel without quick release connection. CARS 50 – Flat-inlet crevice tool, anti-static, length 300 mm, internal diameter 50 mm. Also available in 44 mm version. ABYSS 50- Flat-inlet crevice tool, anti-static, long version, length 480 mm, internal diameter 50 mm. Also available in 44 mm version. RAKE – Rubber flat nozzle, wide-inlet tool, suction inlet 200 mm, internal diameter 50 mm. Also available in 38, 40, 70 mm versions. ABYSS – Flat-inlet crevice tool, anti-static, length 430 mm, internal diameter 40 mm. Also available in 38, 44, 50 mm versions.